Located in San Diego County, the City of Oceanside is on the coast between San Diego and Los Angeles. With a population of 173,000, Oceanside is the third largest city in the County. The City is well known for sites such as the Oceanside Pier, and Mission San Luis Rey de Francia. The City has been working on recovery plans to move beyond the financial crises that much of the United States (U.S.) has been faced with. 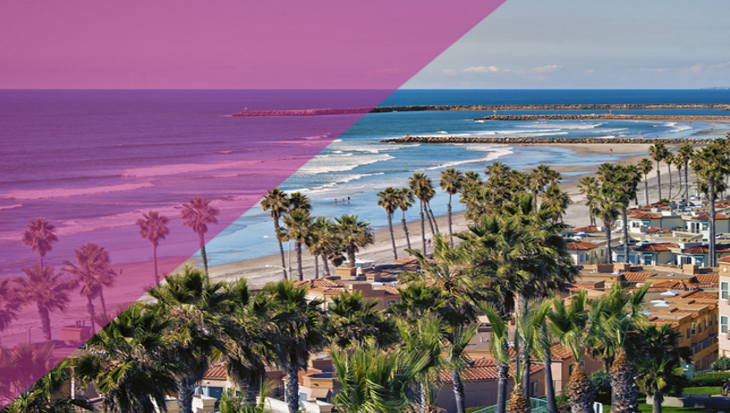 Oceanside has been working to recover from the financial crises faced by much of the U.S. The City needed a solution that provided them with accurate, integrated budgeting information. The City of Oceanside decided that Questica Budget would give them the control and accuracy they required. The City’s previous budget process had many of the typical elements, and faced the same issues as most local governments. The City of Oceanside was required to prepare a combined biennial budget of $315M. Each department had a designated “budget rep” responsible for preparing and managing the budget. Department budgets were created in separate excel spreadsheets. Once department budgets were complete, the representatives sat down with the Finance team to review and prepare a consolidated budget spreadsheet. The Finance team had three employees dedicated full-time to this process. The consolidation proved to be challenging, as no business rules existed with regards to how the departments laid out or tracked their budgets. With no consistency, the process of finding the necessary data was extremely difficult. In addition, changes to budgets were often submitted in any number of methods including spreadsheet, word document, email, even as informally as handwritten. This caused a major issue with version control as there was no way to be certain the correct data was being used, and Finance would often pick up the wrong data and source files. Linking was also an issue. With the original budget data stored in such a segregated and simplistic manner, there was no way of linking budget data back to its source, no backup file information available and no shared historical data. The process was so disjointed, the City ended up exhaustively spending numerous man-hours in trying to reconcile and present a balanced budget. Access to real-time accurate data was difficult. At any time, the City Manager could request a budget update and it would take upwards of one week to compile the necessary information to give an accurate picture. The City knew they had issues they needed to resolve through an integrated solution and went to RFP to find vendors. They reviewed six different tools and were pleased with the features and benefits of Questica Budget. The responsiveness of the Questica team helped confirm that Questica Budget was the right solution. Oceanside was anticipating several benefits with Questica Budget, however, they’ve been very pleased to recognize additional ones they hadn’t expected. Having come off a frustrating budget preparation cycle in ‘07/’08, the City was eager to find a solution that would provide them with a trustworthy and complete budget. With Questica Budget, users can attach historical data and documents, providing a roadmap for decision making. The Finance team now has confidence that the budget they are presenting to Council is an accurate picture of their financial needs and that past issues such as missing support documents, broken links, and outdated budget figures are no longer a concern. Questica Budget’s flexible, integrated system allows everyone involved in the budget to quickly access the data they need, at the level of detail required. Since all budget representatives have access to their budgets online, changes can be made directly to the system and the impact of that change is available immediately. Integration with the financial system ensures that the budget data users are seeing is the most current. Questica Budget automatically updates the actuals daily and additional updates can be made on demand, by staff, with the click of a button. Given the challenges faced by governments these days, transparency is ever more important. Constituents are more sophisticated than ever – they’re demanding more detailed, and immediate access to budget information. With Questica Budget, internal resources are now able to access the most current data available. Departmental budget data is no longer hidden away in a file controlled only by finance. The streamlining of the process with Questica Budget has resulted in a savings of close to three months. The old process took months, beginning in December, for the finance staff to compile the information. With Questica Budget, departments aren’t required to begin inputting budget data until March. The Finance team works on verifications, calculations and adjustments in April and May and a final document is presented to City Council for adoption the first week of June. At first, the City was a bit skeptical that the Questica Budget Salaries module would be able to deliver as promised. However, they were pleased to discover that the module was extremely robust and could handle all the complicated calculations they required of it. Now when Finance works with labor groups, they can run all the necessary scenarios for each bargaining group, even with the complex range of employees that are involved. Changes and modifications can be made, in response to changes in labor groups, on a group level, or down to specific employees and aren’t limited to traditional contract timeframes, or budget cycles. The City is just starting to explore the forecasting capabilities of Questica Budget. Due to the current fiscal environment they’re facing, being able to understand the financial picture both today and in the future, is a huge benefit. Proactive steps can be taken to create a more sustainable financial picture for the City both short and long term. Thanks to more efficient budgeting, Oceanside is brilliant.